The North East Team (Newcastle & Darlington) had their best ever week recently, hitting 1,005 days! This is the first time 1,000 days has been achieved. 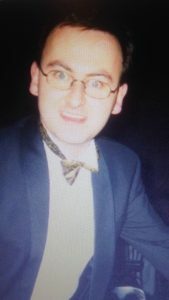 Aiden Shepherd, SEND Biller in Darlington office is raising money for Durham Trinity School. He is doing a coast-to-coast bike ride on 28th – 30th May and all funds will benefit the school directly. Please donate to Aiden’s fundraiser below and help him raise money for Durham Trinity School. 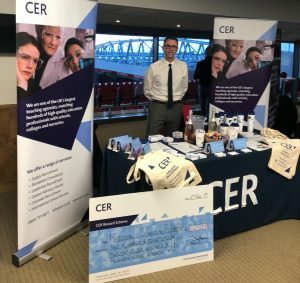 Elaine and Paul from our Liverpool office were at Anfield recently talking to School Business Managers about our Reward Scheme. Last year CER Education gave schools more than a quarter of a million pound back in rebates! 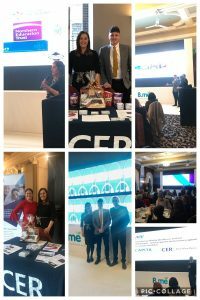 Paul, Chris, Steph and Vikki from our team all attended the Bradford Business Managers Conference recently and spoke to the business managers about CER’s whitepaper, mental health, working in partnership and rewarding schools and academies for working in collaboration with us. Liverpool Primary had their peak week ever recently! Testament to the fact that tenure and longevity does not breed complacency, just success, success, success. Well done to Elaine, Paul, Clare, Liam and Clare. Also big shout out to Jemma on her 104 days peak week and to Lizzie making 226 days look like a walk in the park. North Wales have got an amazing recruitment system working under Lindsey’s rule and have interviewed more than anyone else in the region. Nia finished on an impressive 120 days! 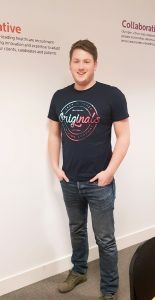 Scott has generated not 1 but 2 perm fees with a total of £5,500 this week and has only gone and placed his first teacher for September, that’s forward planning for you. Kelly in Cardiff has trial days coming out of her ears and is promising another 10 days LT to finish the term off. Well done Kelly. 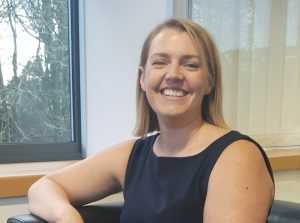 Welcome to Charlotte who has joined the SEN Division and is going to bring her education knowledge and winning attitude to MW Sen.
Newcastle and Darlington teams have achieved another milestone this week – 1,008 days and 315 temps out! CER Education recognise the importance of mental health awareness for all educational professionals and therefore we actively support our candidates and schools in our Health & Wellbeing Day. 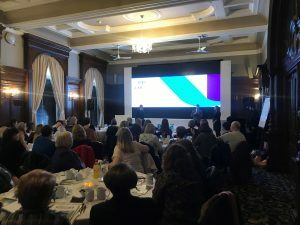 CER recently held an event for teachers offering Mental Health Training, support in work/life balance, workload management, positive thinking and mindfulness. 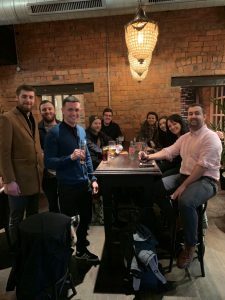 Our event at our Liverpool office was well attended by trainee teachers from local Universities and SCITT courses, and a thoroughly enjoyable day had by all! 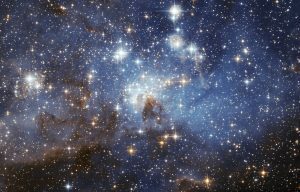 There are more stars in space than there are grains of sand on every beach in the world! The vast majority of my candidates, particularly in senior or management level roles come from LinkedIn. At that level people aren’t often actively looking for work so they don’t see adverts posted through job boards, we have to approach them. CRG TEC use a version of LinkedIn Recruiter which really helps with this. We can conduct really detailed searches which pulls people in based not just on job titles and locations but skill set, qualifications, even what university they went to. It can then compile this into a project file to make communication and MI analysis easier. From there we can send tailored messages directly to those candidates outlining the role and why it would be the right next move for them, based on their specific experience. 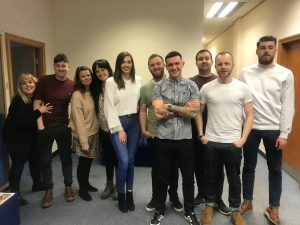 This bespoke approach sets us apart from the crowd and makes it much more likely these senior-level and specialist candidates come back to us. LinkedIn is also a great tool for business generation. I use company profiles and the attached employees to map out an organisation’s structure before approach them to offer recruitment help, it makes a big difference when speaking to a hiring manager if I understand how each department interacts with each other. To recognise children’s mental health week last week, HCL Mental Health Divisional Head, Greg Western, posted his first LinkedIn video. Greg posted this video to share his thoughts on mental health as he understands what grabs attention on LinkedIn and is using it to his advantage. Can anyone beat his views? He has 3,500 on this video! We’re launching a new monthly competition and you could win a meal for 2 in a posh restaurant near you! All you have to do it post a recruitment related post on LinkedIn, email your post to marketing@crg.uk.com and the person with the most likes at the end of the month wins! Our first winner will be revealed in our roundup on Friday 29th March. This weeks employee in the spotlight is HCL Permanent Managing Consultant, Christopher Haigh. How long have you worked for CRG? I have worked for HCL for 6 ½ years. I recruit doctors into long term / permanent posts in the NHS – with around 70% coming from overseas for their first position in the NHS. Which part of your job do you enjoy most? I enjoying helping the candidates finding a position that will help their career grow, and ensure they are settled well especially if relocating to the UK. What is your top holiday destination? USA, recently went to New York at Christmas with my fiancé which was amazing but I don’t get as much time to do it anymore! Incredibles 2 with my son. If you could meet anyone in the world alive or dead, who would it be and why? Martin Johnson, amazing rugby player, inspirational leader and still the only English captain to have won the Rugby World Cup. Ryan Reynolds, because I wish I was that handsome and funny. We know you’re very proud of your little darlings, whether they are human, canine, feline or aquatic, even a chilli pepper plant! We want you to show off your lovelies so send your photos to unity@hcrg.uk.com with a name, age and a little information and your precious darlings will be seen by all! 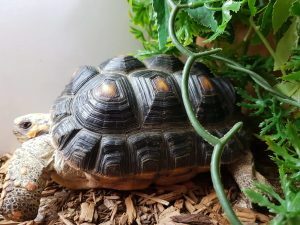 This week we have James Fairhurst, Marketing Coordinator’s, pet Redfoot Tortoise Rosie. Rosie is 2 years old, will grow anywhere between 10 and 16 inches and will live for around 50 years! 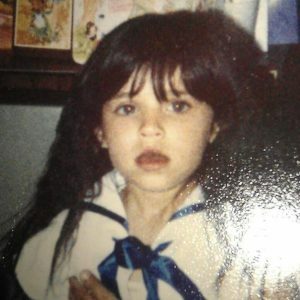 Each week we will post a photo of an employee in their early years, the week after we will announce who it is. Last week’s entry was Donna Mills, Team Leader, HCL Healthcare. Did you guess correctly? For this week’s entry we have the below image of a well known person in CRG Homecare. He can often be found in board meetings – can you guess who it is?